Unfortunately, the true impact of many industrial activities such as oil drilling and coal shipping are often not well understood, making it difficult to fully assess the long term impact on ecosystem health and viability. In this “behind the paper” entry we shed light on why we did this study, how it was conducted, and the conclusions that can be drawn. Coral reefs are among the most threatened ecosystems on the planet. 20% of all coral reefs on Earth have disappeared in the last 40 years, and more than 55% are expected to perish by 2050, primarily due to inadequate management and global warming. It is estimated that more than 400 million people globally directly depend on coral reefs for their survival, primarily through subsistence and commercial fisheries as well as tourism. This ecosystem is estimated to provide a perpetual economic value of over US$30 billion to the world economy. Yet, increasing industrial activity is inadvertently causing a buildup of toxic compounds in the waters and sediments of many aquatic ecosystems. These compounds include Polycyclic Aromatic Hydrocarbons (PAHs) from oil and coal, which can persist in the environment for many years once released. These compounds are known to be toxic, and “LD50” studies (meaning the Lethal Dose where 50% of exposed individuals die) have been used to establish the limits of pollution that are presently acceptable due to industry. However, much like humans fall sick and can develop cancer from low level exposure to pollutants, recent advances in our understanding of toxicants have revealed similar responses in many animals at concentrations that are much lower than the LD50 dose required to immediately kill. For instance, recent studies have shown developmental deformities in the heart, spine, and skull of fishes, as well as genetic changes associated with sensory systems and neurological brain functions. These revelations sparked the necessity of this study. Fish on coral reefs are not only important for human consumption, but are also critically important for keeping the entire ecosystem alive. 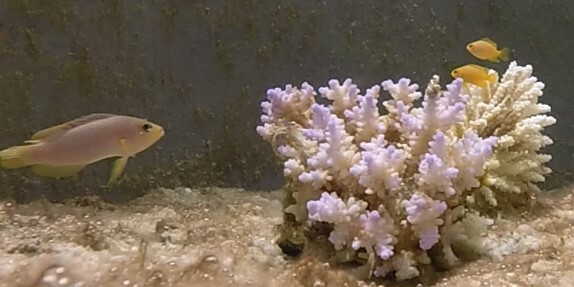 Some fishes form the basis of the food chain for larger predators, whereas others are responsible for removing algae that would otherwise overgrow, outcompete, and kill the live corals. In short, without fish, coral reefs would cease to exist. Reef fishes are also highly vulnerable to pollutants, particularly during early life. Most reef fishes have a pelagic larval phase, in which the newly hatched larvae drift and swim with ocean currents away from the reef. During this period the larvae have not yet fully developed an effective immune system or organ functions capable of dealing with foreign pollutants, and may readily absorb many compounds upon exposure. After several weeks at sea, the larvae have developed enough to return to the reefs to begin life in earnest. This is a steep learning curve, and most larval fishes will perish as they fight to find suitable habitat, food and learn to identify friend from foe. Consequently, this is a time when survival depends on all organs operating at peak efficiency, including the brain. Finding out if low exposure to PAH affects fish development, brain function, and survival under natural conditions is no easy task, but we gathered a group of scientists from three continents (USA, Australia, and Europe) to find out. Our group consisted of specialists in coral reef ecology, fish behavior and physiology, and environmental toxicology, which provided an opportunity to conduct a thorough and in-depth examination of the effects of oil pollution on larval fishes. We chose Lizard Island Research Station in the northern Great Barrier Reef, Australia, as our study site, as this area has ample access to many different larval fish species and is adequately remote to be relatively undisturbed by industrial activities typically seen in more developed regions. As such, the fish collected in this region provided a good baseline “control” with which to compare pollution-exposed fishes. 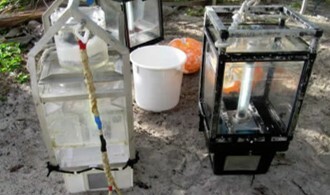 Figure 1: Light traps used to collect reef fish larvae at night. Upon arrival to the research station, we quickly set up “light traps” moored just below the water surface along the reef crest (Fig 1). These traps consist of an LED light inside a clear Perspex box with funnel-shaped openings along each side. At night, when the larval fish approach the reef to settle, they get attracted to the plankton that collects around the light and get trapped inside the box. Then, each morning we were able to collect a myriad of larval fishes within each box. After sorting the larval fishes into different species, the experiments were started (Fig 2 and 3). Figure 3: Larval coral reef fishes sorted into species. First we exposed some fishes to oil PAH levels that are equivalent to concentrations already recorded in many industrialized sections of coral reefs worldwide. 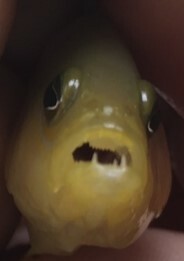 Other fishes were kept free from exposure. We then compared the settlement and predator avoidance behaviors of exposed and non-exposed (control) larval fishes to better understand potential differences in behavior and survival. When larval fishes settle onto the reef, they have to find and identify a healthy reef with ample food and places to hide from predators. This is a behavior that requires functioning eyes and a strong sense of smell to see and sniff out potential problems and a sharp mind to make smart decisions. We were able to test this ability using mesocosms (Fig 4), which are small replicates of the reef ecosystem complete with corals, sand, and coral rubble inside large tank enclosures. Figure 4: A top down view of a mesocosm containing one healthy, one intermediate, and one degraded coral reef habitat, divided by sand. This allows us to control the number and type of predators in each mesocosm as well as the quality of habitat available for settlement. By carefully releasing a few individuals into each mesocosm, we were able to closely monitor which reef structures the fishes chose to settle on (Fig 5) and how well they managed to avoid the reef predators lurking amongst the coral (Fig 6, 7, and 8). We also used smaller open tanks and high speed cameras to examine the speed with which each larval fish was able to evade an artificial predator (a heavy weight hitting the water surface above the fish), and mesocosms without predators and unlimited food to evaluate their ability to grow and survive under optimal conditions. Figure 7: A split second standoff between a predator and it’s larval fish prey. 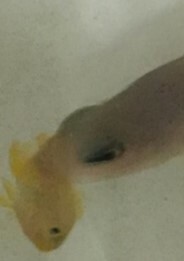 Figure 8: Larval fish caught by predator. To our surprise, the oil PAH exposed fishes were performing much worse than the control fishes in virtually all of the tests performed. The oil PAH exposed fishes made irrational decisions for shelter and predator avoidance and quickly succumbed to predation as a result. They also grew less, even under optimum conditions, and continued to die from their exposure several days and weeks after the exposure event. We did expect some impact of oil PAH exposure, but the concentrations needed to detrimentally affect the fish were much lower than suggested by LD50 studies. In fact, detrimental changes to fish behavior and cognition/decision making occurred at PAH exposure concentrations already present in many industrialized regions of coral reefs worldwide. These are consequences of oil pollution that are not quantified using traditional LD50 studies but provide important new insight into the impacts of industrial PAH pollution in sensitive coral reef ecosystems. These findings are important for many reasons. It is crucial to fully understand how polluting industrial activities affect sensitive and declining ecosystems. This needs to happen before the perpetual natural and economic value of those ecosystems is put at risk for short-term financial gains. Importantly, our study provides a suite of new experimental approaches that can be used to evaluate pollutant impacts beyond the standard LD50 trials.